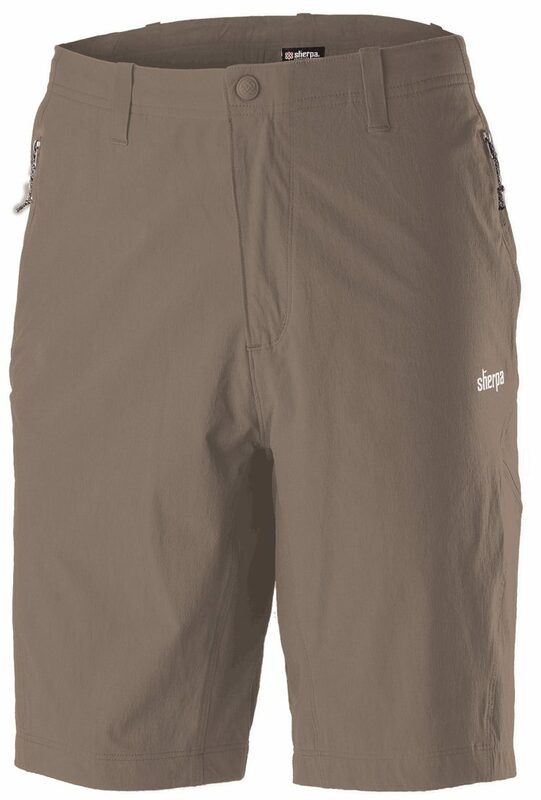 What do you look for in a pair of hiking shorts? We recommend some of the best examples this year. Don’t get caught short when walking this summer! Shorts time can be a nervy time. There’s the embarrassment that the world will see your spindly, hairy, pale legs, but fear not; the sheep and cows really don’t seem to care about all that. In the right conditions, wearing shorts makes hiking a more airy, breathable and comfortable affair. And even if it rains, skin dries out quicker than any material, so shorts are in fact an excellent option for much of the year, not just summer. Perhaps the trickiest part of buying good hiking shorts at the moment is that it’s fashionable to wear outdoorsy-looking clothes. We all want to look like action men and women, right? So some fashion brands design clobber that looks outdoorsy, but really isn’t; such as sporting thick, heavy material and pockets that aren’t actually pockets, that kind of thing. Confusingly, you get some brands that make things in the middle – that cater for those who want to be a bit outdoorsy, but fashionable too. And even some of the shorts here have elements of that. As with most outdoor items, the primary thing is comfort. This may sound a bit soft, but on a long-day walk or multi-day walk, discomfort can makes things a fair bit more uncomfortable and consume the mind. In this case, comfort means several things. There’s the basic comfort of how they feel when you simply stand there in your prospective strides, but try walking upstairs in them, too, moving your thigh up to a right-angle, as you may have to do out on the dales and fells. Are they at all restrictive? This can be key; you want total freedom of movement in comfort. 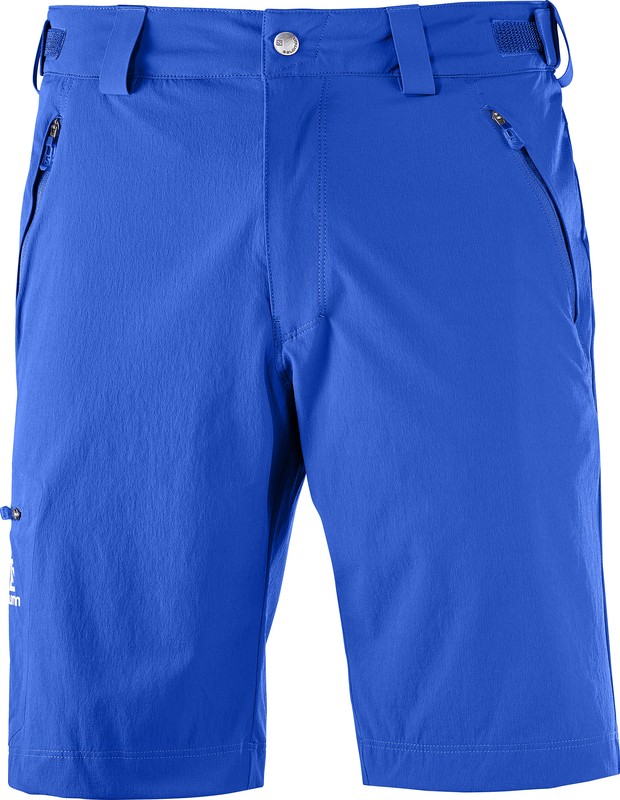 The best hiking shorts tend be made from light, breathable, stretchy and quick-drying materials. Pockets are a more personal option, but I always like a thigh pocket and at least one zipped pocket for valuables. You may also want to take a belt with you when trying pairs on, though some (but not yet enough) have built-in waist adjustments. Those Europeans and their bright colours eh? French brand Salomon do these in eight colours (and these aren’t even the most eye-catching) including more classically British self-effacing shades such as black, grey and brown. This are made from a lightweight, four-way super-stretchy material which makes them really comfortable and non-restrictive – in this test, only the Sherpas come close to them for comfort. It’s also fast-drying, water repellent and claims to protect against the sun. They have four zipped pockets, and though the belt loops are useful, Velcro waist adjustments mean that’s not really needed. There’s also a choice of two different lengths. Sometimes I review an item and my objectivity just goes out of the window because I love it, and this is one of those times. Oh, and despite definitely being British, I love the blue. Pros: Super comfy and stylish with great features. I thought it was impossible, but these four-way stretch Sherpa shorts seem even stretchier than the Salomons, though only slightly. So they’re very comfortable. You barely feel you’re wearing anything – in a good way (not like the horrible nightmares I used to get as a child). Similarly they’re water resistant and have four zipped pockets. They’re even the same price as the Salomons. The waistband interior is lined in tricot for extra comfort and they come in three different lengths. The only downside is the lack of waist adjustment, so a belt was needed for me. Otherwise they’re excellent. Pros: Super comfy and effective with great features. Verdict: An excellent choice for hiking, camping or travelling. These Royal Robbins shorts are the most style-conscious on test. They’re presumably aimed at that hipster crowd I keep reading about, as they look like cut-off chinos. 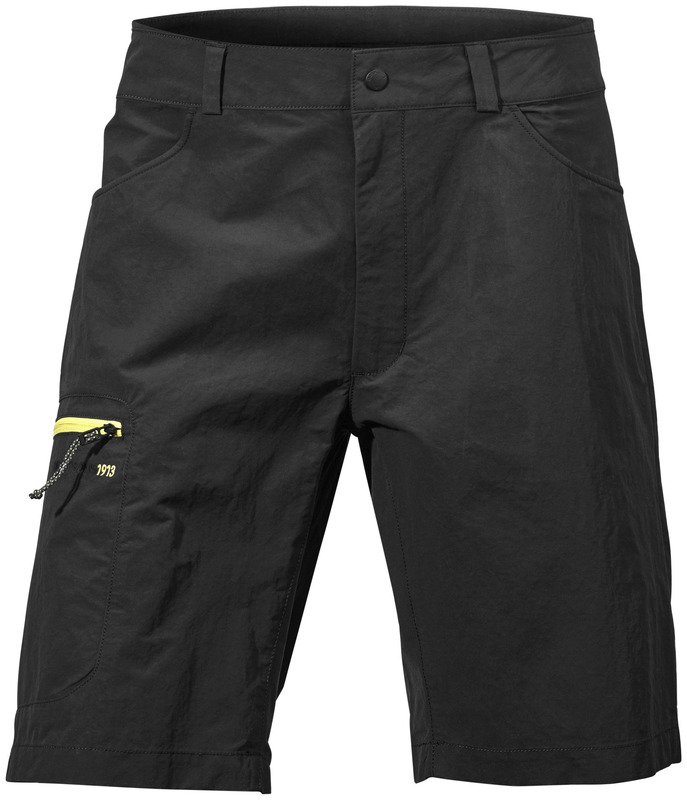 The shorts have five non-zipped, trouser-style pockets and one zipped. One of the standard pockets does have a neat internal pocket that would hold change or possibly keys, saving them from bouncing around. But these aren’t the type of pockets that will keep things secure when scrambling on Striding Edge. They claim to be four-way stretch, but aren’t nearly as stretchy as the Sherpas or Salomons. Though they do feel more durable and the waistband interior is lined in tricot for extra comfort. However, the pair I was sent are restrictive on the thigh when you lift your leg high. I can imagine wearing these to the type of trendy barbecues I never get invited to. Cons: Restrictive and inadequate pockets. Verdict: They look great, but are better suited to BBQs than peak-bagging. When I reviewed walking trousers I was really impressed by the Fjallraven britches, and the Abisko shorts come with a similar approach, prioritising durability and features over the lightweight ethos. This multi-panelled offering is designed to a level above most shorts. For example, the waist is a tad lower in the front and higher in the back, to sit more comfortably when carrying a backpack. The zipped hand pockets are also placed at a height that is easy to access when wearing a pack with a hip belt. Fjallraven pockets, as ever, are inventive and specific; there’s one for a phone or GPS unit and they are stretchy and comfy, however you do pay more for all these extras. They are also a little bit heavier and there's more material, but you hardly notice it. These are excellent. Pros: Features, durability and ruggedness. Cons: Weight, thickness and price. Verdict: An excellent, feature-packed option, though less suited to mid-summer. Didriksons Emilio shorts are made from a blend of polyamide and cotton, making them windproof and suitably breathable. Two zipped pockets – on the rear and at the side – are ample, while a DWR finish means they’re water resistant, at least until it wears off anyway. 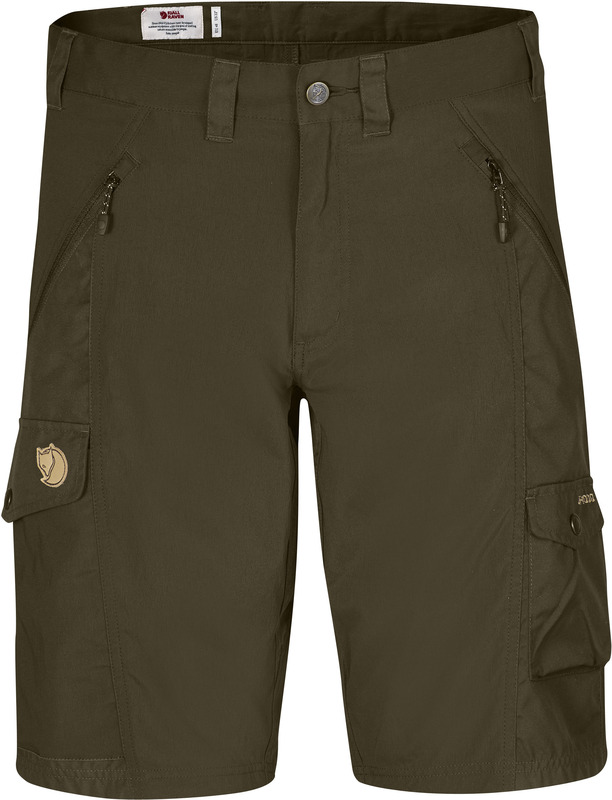 These are perfectly likeable shorts; they’re not as hi-tech – or quite as stylish for that matter – as the Sherpa, Salomon or Fjallraven options. They're not very stretchy either, but a loose fit shouldn't be restrictive and they’re certainly more fit-for-purpose than the Royal Robbins. These shorts just get on with the job of being shorts. Pros: Windproof, breathable and functional. Cons: No colour or size alternatives. 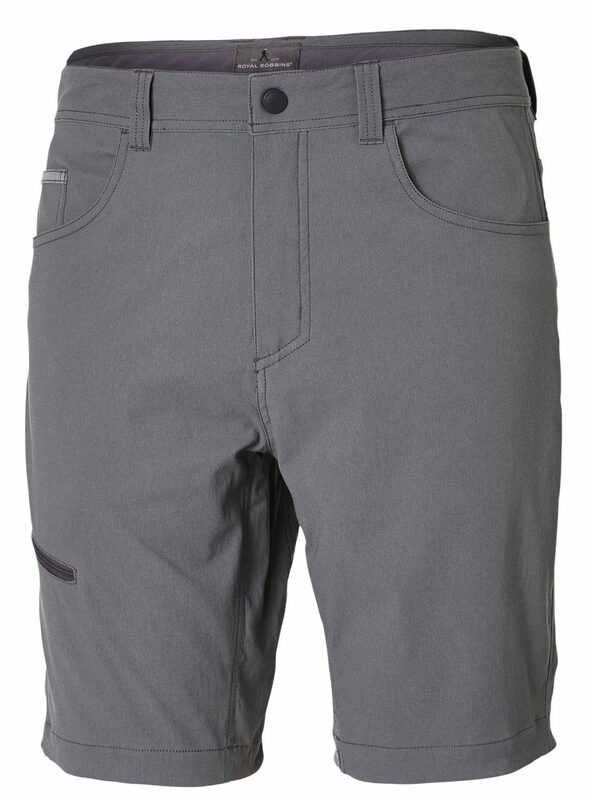 Verdict: A good, fuss-free, fit-for-purpose pair of hiking shorts. Damian Hall is an outdoor journalist who’s completed many of the world’s famous and not-so-famous long-distance walks, including Everest Base Camp trek for his honeymoon. He’s author of the official Pennine Way guide and his latest book, Long Distance Walking in Britain, is out now. There’s plenty more self-aggrandising hogwash on Twitter (@damo_hall) and at www.damianhall.info.